When renovating a property destined for sale, it’s all about the bottom line, so knowing how to skimp but still get a great price, is vital. The last thing you want, is to do all that hard work for no gain. Also be mindful of how the tax office will view "house-flipping” activity. 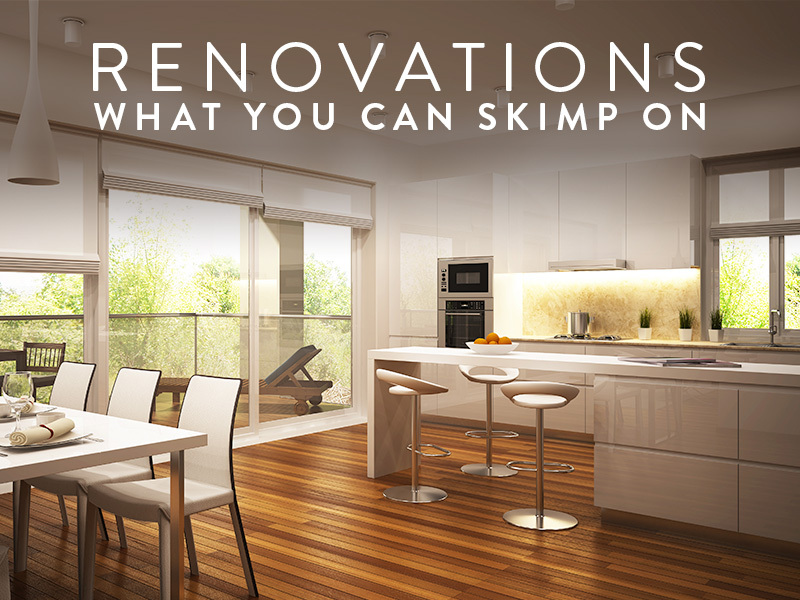 As long as renovators understand the demographic they will ultimately be selling to, and cater to it, it’s possible to skimp in some areas when renovating, but still turn a profit. Here are her top tips. While it’s easy to walk into a big-brand store and spend lots of cash on new fixtures and fittings, there is another way. Shopping skillfully is one thing people can do to save money. If you have the time and are happy to trawl around online, on auction sites and the like, it’s amazing what you can find. People able to refurbish furniture can give old pieces new life, then use them to stage a home for sale. Bathrooms are very important, but ripping one out and replacing it can be expensive. If the bones of a bathroom are good and there are no major issues to address, look at simply spraying over tiles to refresh and modernise a bathroom. It’s much more cost-effective than starting from scratch. Adding an additional bedroom to a floor plan is one of the most cost-effective ways to improve a property. Using otherwise wasted space as a bedroom isn’t usually costly but is a "clever option for adding value. A number of new flooring products offer an affordable way to add wow factor – without forking out for real timber. Gone are the days of floating floors looking cheap. There are some great veneer and even bamboo flooring options now that are really durable and if they’re laid well, provide an excellent finish.